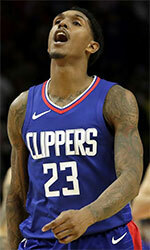 Will Barton (6'6''-SG-91, college: Memphis) has been diagnosed with a right hip and core strain and will be out for an undetermined amount of time. Barton was carted off the floor during Saturday's game. Barton will undergo surgery and be out five to six weeks.